As I was reviewing information for this article, the Beyoncé’s song, “Formation” came to mind because practicing “How to Eat to Live” will help us get into line. Have you ever learned something from a book or tape and couldn’t wait to put it into practice? How will you know it works unless you put it into practice? 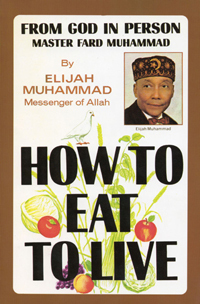 The Honorable Elijah Muhammad states in Book II of How to Eat to Live, “I am often experimenting as I teach you, so that I will know what happens if you go contrary to the teachings of “How to Eat to Live. Once you know some body of knowledge, then what? We are supposed to put our mathematical theology to work … act on it. When we don’t properly use or apply our knowledge, we suffer. We are given “authority” over our bodies and have been given a wonderful “body of knowledge” to help us properly care for our bodies. May Allah (God) bless us all with peace, love, health, wealth and happiness. (Audrey Muhammad is an aerobics instructor and the author of The Sister’s Guide to Fitness. To order, send a $12 money order to Get Fit To Live, P.O. Box 61402, Raleigh, NC, 27661. Please consult a physician before beginning any new exercise or dietary program. Email virtuetoday@mail.com to inquire about a Get Fit to Live workshop in your city).